Boost Power. 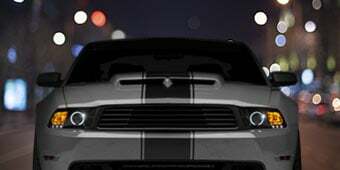 See an increase of horsepower and of torque at the rear wheels of your S550 V6 Mustangs with an AEM Brute Force Cold Air Intake. This AEM CAI kit replaces your 3.7L V6 Mustangs restrictive factory air box, intake tube and paper filter element with a Dryflow filter assembly for more power and better gas mileage, all while filtering out harmful power robbing particles. No Tune Required. 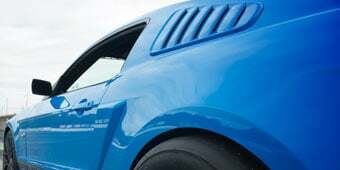 Unlike other Cold Air Intakes on the market for the 3.7L V6 Mustangs the AEM Brute Force CAI does not require a computer re-tune. The engineers at AEM designed, tuned, and dyno-tested this cold air intake to improve your Pony's power using the stock tune. Recommended Upgrade. 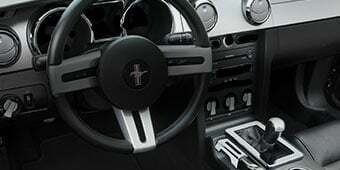 Even though a re-tune is not required for operation, AmericanMuscle recommends a Bama custom tune with a Mustang Handheld Tuner to reprogram the vehicles computer (ECU) to get the best performance possible out of this cold air intake. CARB Certified. 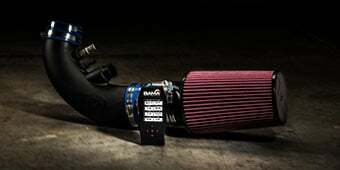 Best of all, this AEM Brute Force Cold Air Intake System is 50-state smog legal under Carb EO# D-670-23. Application. This AEM Gunmetal Gray Brute Force Cold Air Intake System is specifically designed to fit the 2015-2017 Mustangs equipped with the 3.7L V6 Ti-VCT engine and does not require re-tuning the vehicles computer for operation. 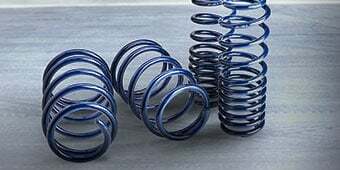 Would this fit easily on my 2015 v6? 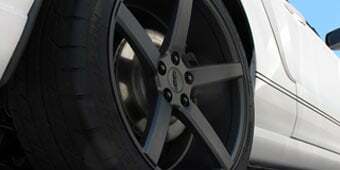 This has fitment for any 2015-2017 V6 Mustang as they all have the same engines. I'm debating on purchasing either this Intake or the JLT Intake available for the 205 V6. It's my first time purchasing an aftermarket air Intake what would you guys recommend? The AEM and the JLT are slightly different, and depending on what you are looking for out of your vehicle and an intake, one may ultimately be a better fit than the other. 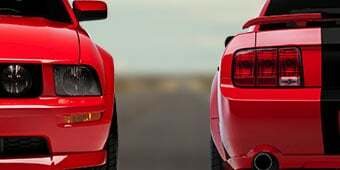 If you would like to contact us via phone, email or chat, we would be more than happy to recommend an intake that is best suitable for you and your Mustang. I bought a Bama Tuner in May and just bought the AEM CAI. I contacted Bama about the recommended custom tune to get "the best performance possible" out of this CAI. Bama states that they don't have a custom tune to send to me for this CAI. What's the deal?! You do not need a custom tune for this intake because the intake is the same size as the stock intake. You do not need a new tune with it because this will have the same amount of air flow and because of that, there is no aftermarket recalibration needed for this specific intake. On Amazon, this product is carb-certified, but on this website it isn't? The AEM Brute Force Cold Air Intake is CARB legal or CARB-Certified. In the description of this product you can find the CARB E.O. number which will also be included with the item when purchased. 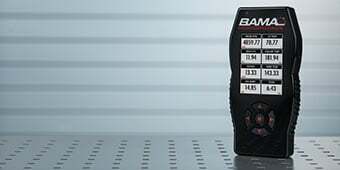 For extra verification, we provide the Manufacturers Part Number(MPN) right below the price above, that you can take to the manufacturer and they will be able to verify for you as well. Asy to install,nice sound looks great and feels great. Planning my next ptoyect. This intake is by far better than any other CAI on the market in my opinion. Don't pork your engine by getting any other brand. AEM all the way, unlike it's competitors it does not require a tune and it does not have an oiled up filter. Having an oiled up filter is like waterbording, just think how would you like to try and breath through mesh with it being soked in oil... That's pork. Buy this intake and get immediate HP and TQ gains, the AEM intake also comes with a Dyno sheet because these are tested to make sure it preforms the best for your Stang. AEM or nothing. 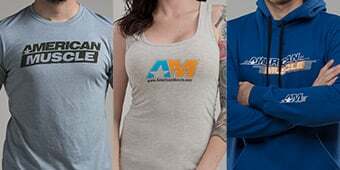 Dont pork your intake, Buy AEM! Purchased this intake last month. UPS somehow damaged the first one, however, AM was fast to ship out a replacement. Install took about an hour but I was taking my time throughout the process. Straightforward easy install. Sounds and runs great. Would definitely recommend especially in CA as it is carb compliant. Delivery was fast, packaged very well. Would defiantly recommend. Really made my V6 come to life with a more aggressive sound and horsepower. The heavly overshadowed S550 V6 mustang responds extremely well to modifications. The price on this part was fair and the install was manageable. Opened up a more aggressive exhaust sound paired with my flowmaster axle back system. I'm not sure exactly what the numbers are, but behind the wheel HP and torque gains were noticed. Excellent quick shipping. Easy install. Opens up a nice growl when accelerating. Does give a little more umph in the low range, but the sound was the best part. Excellent item; even without a tune, you can definitely feel the difference. I already have an H-Pipe and Flowmasters installed (along with a resonator delete), so I honestly couldn't tell a difference in noise at cruising speeds, but once you accelerate, YES, it comes ALIVE!! Of course, it's no GT, but it still sounds very good! A "cleaner" engine noise is how I would describe it, balancing out the the exhaust. It makes you excited to hop on the freeway even if your destination doesn't require it! The only issue I came across was one of the lower washer/nuts not fitting. Since the overall unit was was so snug, I'm hoping it won't be an issue. I'm giving this CAI a 3-star rating, but it has nothing to do with the CAI itself. My rating is based on AM's info included in the product description being inaccurate. In the product description AM recommends a custom tune upgrade "to get the best performance possible out of this cold air intake". I contacted Bama to request this AM recommended custom tune, and they stated that there isn't one. AM should remove that recommendation. As for the CAI, I really like it. I only notice a slight power gain, but it gives my Flowmaster Outlaws a deeper tone with less drone. It makes my V6 sound even more like a muscle car! 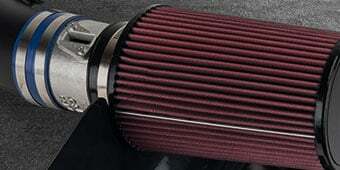 This intake is worth getting Fr! It sounds beast, really deeper! I love it! This Cold Air Intake made a difference to my car. It just sounds much more Amazing then it did without one. You can really hear the deep growl when you step on the gas; it's just amazing that it will always put a smile on your face. It's really simple to set up, not that hard at all. Once I finished setting it up, I just couldn't believe how my car just became ALIVE! Trust me once you hear it for yourself you will feel happy that you bought this for your V6.